The legendary, oh-so-loveable MX-5 has now turned 30. 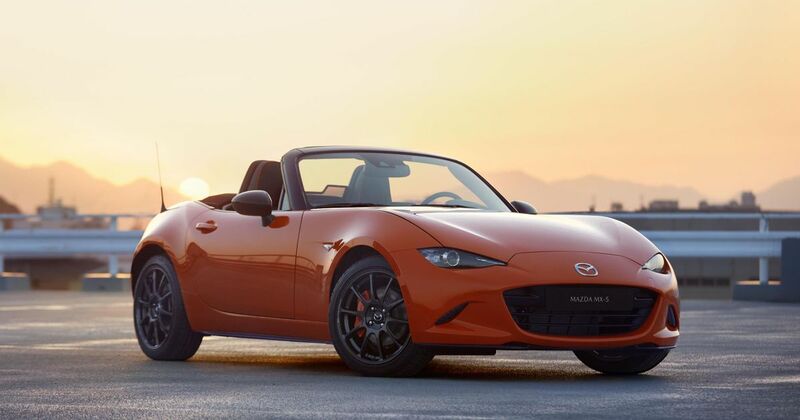 Rather than bake a cake, however, Mazda has decided to celebrate as it has done for many of the roadster’s milestones before: by building a limited-edition anniversary version. Each will be finished in Racing Orange, a unique colour which is quite close to ‘Car Throttle orange’, officially known as (we’re not joking) Neon Carrot. Funnily enough, we liquid wrapped ‘our’ 1.5-litre MX-5 long-term test car thusly a few years ago. 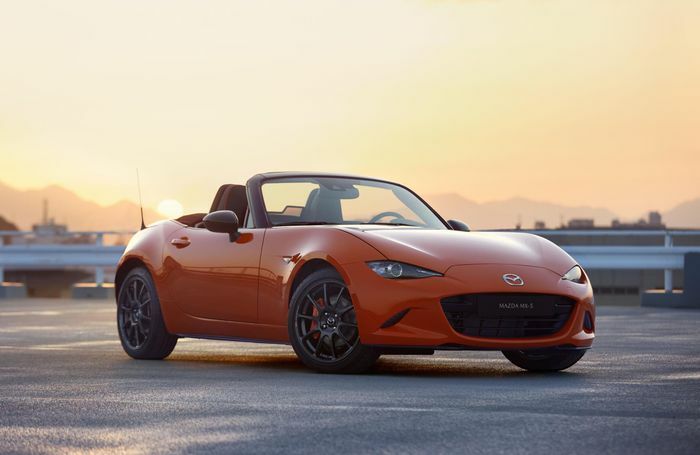 The MX-5 30th Anniversary is based on the current 2.0-litre ND, which means it’s powered by the new SkyActiv-G engine which develops 181bhp and revs to 7500rpm. The brake calipers have been painted orange to match the paintwork, and the front stoppers are supplied by Brembo. 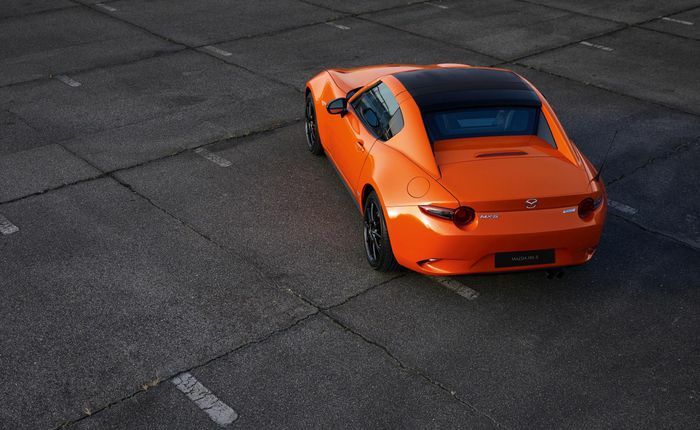 It’s the first time they’ve been fitted to a UK-bound fourth-gen MX-5. Rays developed a set of forged aluminium wheels especially for the car, with ‘30th Anniversary’ lettering etched on each rim. Curiously, you’ll find a numbered anniversary plaque on the outside of the car, rather than the usual in-cabin placement. 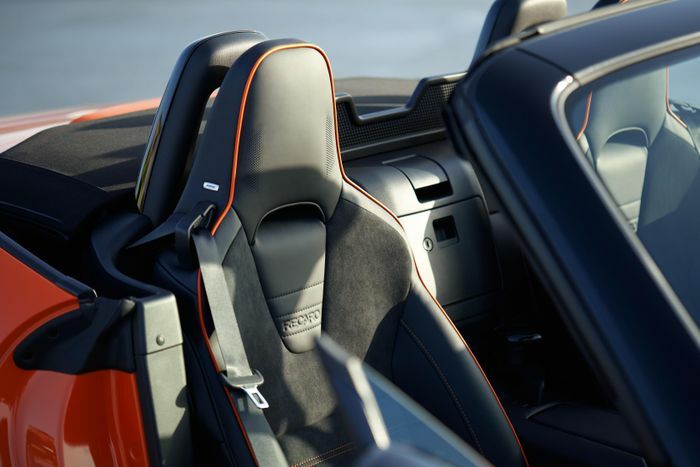 Speaking of the interior, it’s been given a smattering of orange accents - the Recaro seats, interior door trim, dash, steering wheel, air vents, and gear shifter have all been given an orange hit. There’s also Alcantara trim on the seats, the door cards, and the instrument cluster. Want one? You’ll have to move fast, as only 3000 cars are available worldwide. The UK, always a big market for the car, will have a decent allocation, at least - 600 cars are coming to our shores. 400 will be convertibles, and the remaining 200 will be folding hard-top RFs. The convertible is £28,095, while the RF - which has a particularly lovely contrasting black roof - is £28,095.